This Package include 2 QOCDC (CCD Color Outdoor Camera) and 2 QPSCDC (CCD Color Indoor Camera). With CCD technology, it delivers the most sophisticated technology into the most reliable and accurate color quality picture in the security industry. It's ideal for monitoring or videotaping. The package includes a 60-ft. cable to allow flexible installation. 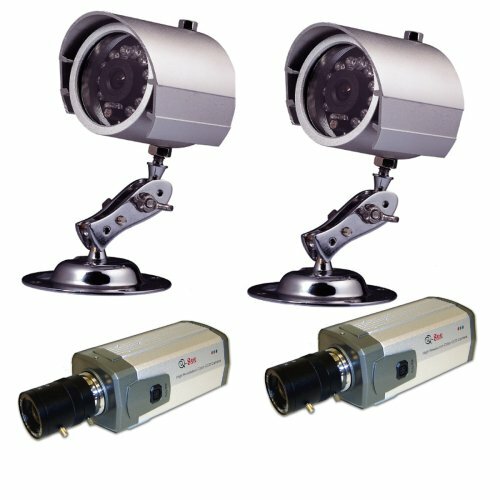 Connect the camera to any TV/VCR and start viewing or taping immediately.